In unison, we all should be shouting, all lives matter. 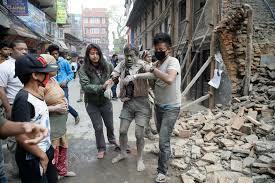 Just over two weeks after thousands died in a mammoth earthquake, Nepal got hit hard again Tuesday — with another powerful tremor that has left dozens more dead, more than 1,000 injured and questions about what’s next for the already traumatized Asian nation. 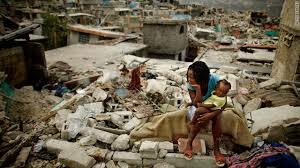 As I watch the news report of the volunteers frantically searching for survivors, I couldn’t help but think of my work in Haiti, and how painful it was to see, up close, the horrific devastation of so many lives. In the face of tragedy, all lives matter, not just one group of people, but all. Ever since I was a child I hated to watch tragedy unfold, especially to the most vulnerable ones: children, elders, the poor. It most made me sick to my stomach. But SOMETHING HAPPENS when life changes suddenly [in a time of tragedy or loss]. Life looks different than it used to. Values change; conversations change; perspectives shift. We use our time differently. People become much more precious to us than possessions. Ordinary moments become charged with significance and with the energy of eternity. I encourage you to tell someone today that their life matters. The Cambio Group © 2014 All rights reserved.